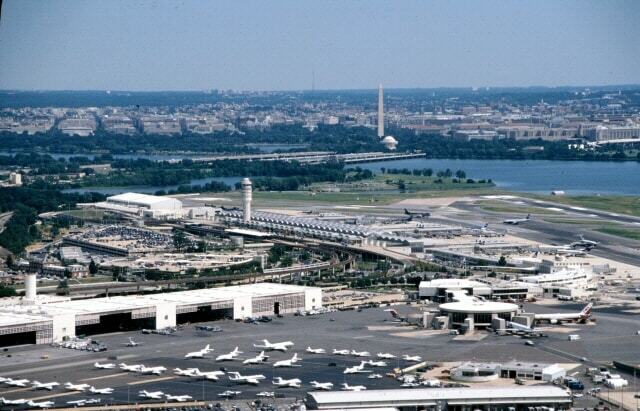 Search for the Safest Parking Options at Ronald Reagan Washington National (DCA) Airport! The biggest dilemma faced by most of the people flying out of the DCA Washington National airport is where to park their car and where to leave it once they fly out. Yes, finding a safe option or spot to park the vehicle at the Ronald Reagan DCA Airport Parking can be a tough challenge, given the fact that it is a very busy airport and the per day charges may exceed the budget of many. But Book2Park brings you the perfect solution to this problem in the form of parking spaces near the airport. There is covered garages and extremely safe parking options near the Ronald Reagan Washington National (DCA), thanks to our brilliant hotel partners. Along with the 24 hour security of the vehicle and the extremely discounted and reasonable prices, Book2Park brings to you excellent services like, free shuttle service from and to the Washington airport. Apart from this, booking in advance or reserving through our website, will get you to avail some discounts that you cannot say no to. The best thing about our service is that you can hand pick the parking spot that seems most suitable to you by visiting our website. All the spots are in close proximity to the airport which saves you a lot of time. Driving distance from DCA : 2 Mi. Shuttle Hours: 5:30am-10:20pm every 30 minutes. 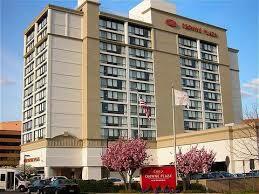 You'll enjoy a convenient location and top-quality amenities when you stay at the Crowne Plaza Old Town Alexandria. Our hotel is only two miles from Ronald Reagan Washington National Airport and less than six miles to Washington DC.We offer complimentary shuttles to DCA/Reagan Airport every 30 minutes. When you arrive to the hotel:Park your car in an available space in the upper level then get the ticket and print and present your confirmation receipt to the valet parking attendant. ***Once you have returned to DCA and you have collected your luggage, go to door #5 or #9 at upstairs departure and look for the airport hotel shuttle bus stop. Parking Instructions: Please enter the parking garage of the hotel, and select any space available at the "Self Parking" labeled zone. 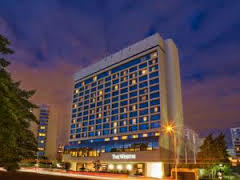 Park with us and experience the Crowne Plaza way! 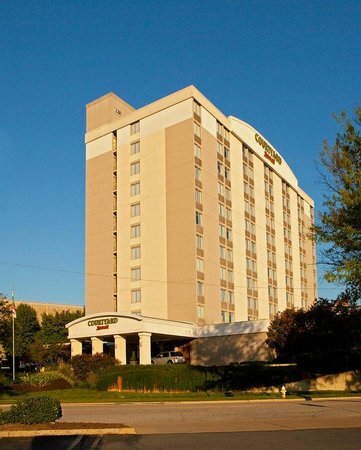 This modern hotel is 4ï¿½miles from Old Town Alexandria and 3.5 miles from the Ronald Reagan National Airport (DCA). Contemporary rooms offer free WiFi, desks with ergonomic chairs, flat-screen TVs with premium cable channels, and coffeemakers. Suites add separate living areas. Social spaces include a living room-style lobby and an outdoor courtyard. The American restaurant serves breakfast and dinner as well as Starbucks coffee. There's also a business center with workstations and printers, andï¿½ 4 meeting rooms. Other amenities include an indoor pool, a whirlpool and an exercise room, a free area shuttle and on-site parking (surcharge). Shuttle Hours: 5:00 am till 111:30 pm. Every 30 minutes. The Westin Crystal City Hotel offers a great service and an economical alternative to on-airport parking close to Washington Reagan Airport. They have a shuttle service that runs every 30 mins and they are open from 5.00am to 11:45pm. When you arrive at The Westin Crystal City Hotel please go to the underground parking garage and take ticket at the entrance. Park your car in an available space at P2 or P3 then go to the concierge desk in the lobby and present your confirmation. You will receive assistance with your luggage. Once you have returned to DCA and you have collected your luggage, go all the way up tp the 3rd floor (departure level) and wait by door #3. Look for the Westin Crystal City only. In order to check out you will have to present the copy of your parking reservation and the parking ticket that you received when entering the garage in order to get it validated, to use when leaving the hotel.